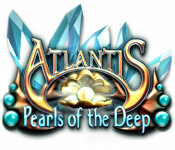 Atlantis: Pearls of the Deep is rated 4.6 out of 5 by 24. Rated 5 out of 5 by melissa845 from Great Game for Match Three Enthusiasts A marble dropper game where one drops a marble to make matches of three or more. Challenging ... but lots of Fun. One can replay levels for more points and use points to purchase interesting and some times different kinds of power- ups. I have played this game as a beginner and again now as an intermediate match three player.... still a great game. Gets harder as it goes along but If you like things that go Boom. You will love this game. Rated 5 out of 5 by pedz69 from Marble dropper - Atlantis Pearls of the deep- wonderful unique Physics based game This is the best by far of all the marble droppers. Each set of challenges is clever , entertaining and requires a lot of thinking to get the maximum 3 stars each level. Some levels are so hard , , especially where there is a screen full of "islands" where you have to drop a marble and ensure it doesn't bounce off. As others have said, this is so addictive, and I find I have to keep replaying to get the 3 stars. Please developers, produce a sequel to this - its way ahead of similar types and is bound to become a best seller. Rated 5 out of 5 by Dazzlecat from Best Marbles/Match 3 Game Ever I can't believe how fun, unique and challenging this game is. Tons of fun and some levels are really hard to get though, which I totally love. I hope they make lots more. Rated 5 out of 5 by julie1965 from Fun Challenging with a twist. Loved the challenge of the obstacles. Rated 5 out of 5 by June50670 from Very Addictive I found this a most enjoyable game, very addictive. I keep going back to it all the time. Excellent all round. Loved the visuals and the background music was wonderful. Totally recommend this game. Rated 5 out of 5 by BF_Missy from Looks Easy But It Ain't, lolol This game requires strategy, just like when playing with alleys or an adult game of pool. Some of the sets are real hard and you need to get 3 stars in ALL the games or you can't open the bonus game. The graphics are beautiful rich colours and the game selections move very quickly. My only frustration with this game is having to get 3 stars in all the games to open the bonus game. Normally I would not complain bcos it adds to the challenge, but when you have one game that is near impossible to complete bcos of the way it's set up, it does leave you frustrated. 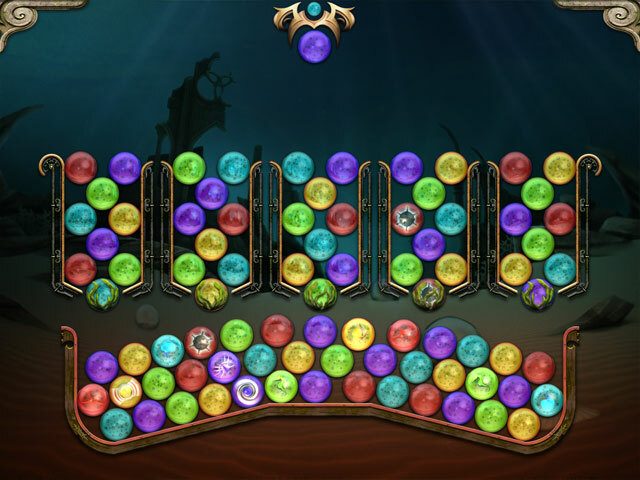 I think the developers of this game should re-think Episode 4, Level 8 bcos the marbles don't touch each other when all 3 are lined up. The ledges should have a slight backward tilt to them. I hope they address this issue or very few people will get to the bonus game. :( If your not to concerned about the bonus game, then yes, this is a game worth having. IMHO. Rated 5 out of 5 by rubybuckaroo from The is an excellent game The graphics are well drawn, the music sits neatly into the background and it’s a soothing game to end my day. Sometimes my commute will be three hours, just a 10 or 15 minute session with this game sets things right. I am looking for more like this, any suggestions? This sweet game fills the bill. Rated 5 out of 5 by sharonatoo from This one was just right! 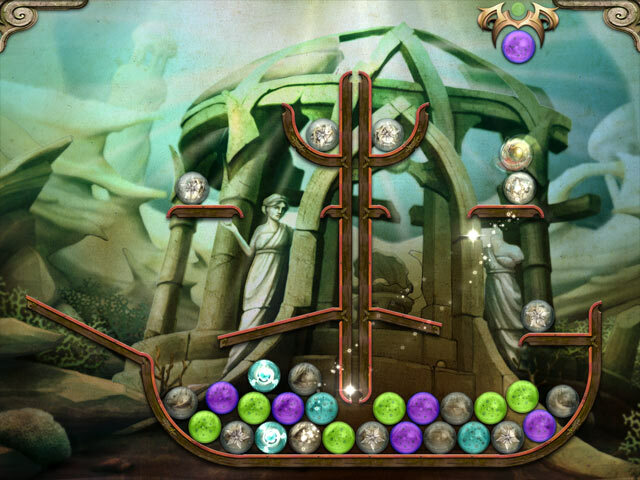 Atlantis: Pearls of the Deep required just the right amount of strategy. Levels required some planning and patience, but all the levels are doable. Rated 5 out of 5 by moakley from Not your normal ball popper game! This game is a marble dropper game instead. 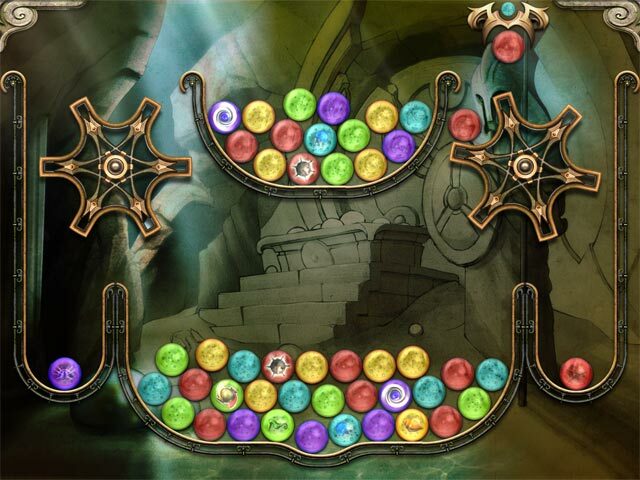 It's still a game where you have to get 3 of the same color, but some marbles have items in them. There are different configurations on different levels and some are hard to figure out. You might have to bounce the ball off of something else. Anyway, I love this game and have played through it 3 times (I'm on the middle of my 4th!). Try it out. I bet you end up buying it! I need to find more games like this one!